Greece offers many different sailing areas, and generally the regions further away from Athens (Saronic and Argolic Gulfs) attract less tourists despite a multitude of beaches, picturesque ports and ancient archaeoligical sites and temples. The only downside - more logistics and longer travel times - is greatly outweighted by the minimum amount of tourists and the perfect conditions for yacht charters. The eastern or southern Sporades are a mix of the levant and western or greek culture and lie indeed on the border just off the Ionian coast of Turkey, the famous turquoise coast where the gulets and motorsailers sail the breathtaking blue cruises. Many of the islands in the southern sporades and the dodecanese belong to the top 25 of most beautiful Greek islands, notably Ikaria, Patmos, Kos, Nisyros, Symi and Chios. The best way to discover these islands is through yacht charters holidays either on a catamaran (multihull) or a gulet motorsailer which are usually fully crewed. The bases for yacht charters in the Dodecanese and Sporades are the islands of Kos and Samos, respectively. Noteworthy is that the Kos marina offers a wide choice of catamarans: actually the largest fleet of catamarans in Greece! 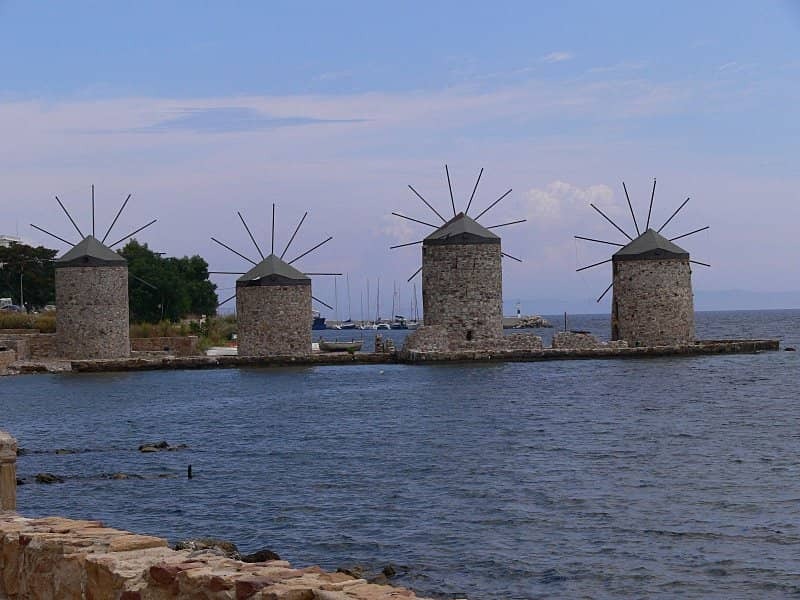 The prevailing winds in the Aegean are north to north-west, and the notorious Meltemi winds are typically only affecting the sailing holidays in August plus a few weeks around August on a somewhat less stormy manner.